Home / Fitness & Wellness / Are older adults more committed to exercise? Are older adults more committed to exercise? New research finds that older adults will stick more firmly to an exercise regime when prescribed by their doctor than younger patients. The study, published in the journal BMJ Open by the researchers at the University of Northumbria, originated with the intent to find out just how many patients would follow through with exercise treatment plans and also continue with them after the recommended time period. Study leaders looked at more than 2,200 people in the United Kingdom who were recommended exercise programs to improve their health. 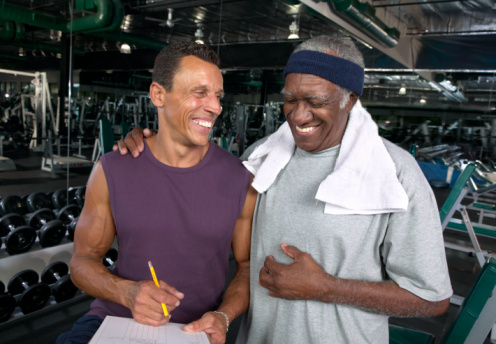 They found that older adults were more likely to adhere to these prescribed exercise programs. They reported that 81 percent of those participating in the study actually followed through with starting the exercise treatment plans. And of the total, 42 percent of participants completed the six months in the program. This group saw significant improvement in their health and they now exercise more frequently even after their treatment plans were complete. In the U.K., exercise treatment programs have been widely used and are recommended to patients by their primary care physicians. They were set up to improve health and reduce risk for serious illnesses like stroke and other conditions resulting in early death. Patients are generally offered these programs if they are overweight, have heart disease or bone and joint conditions. They are then referred to a local fitness center to be monitored by fitness specialist. Coral Hanson, leader of the study, says the results offer more insight on how health care professionals can adapt these exercise treatment plans and create better, more effective health programs.